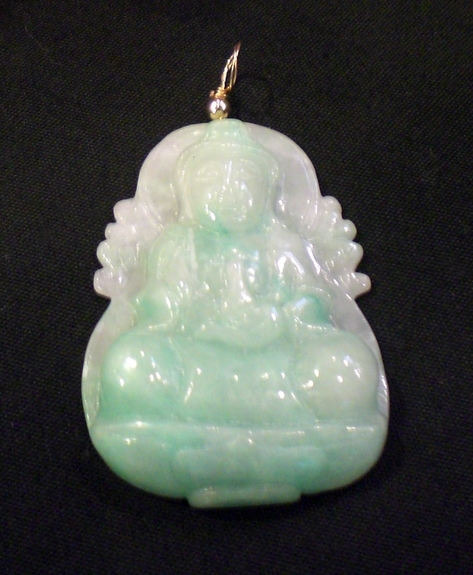 This is a light apple green jade Guanyin Buddha from Burma. Guanyin (also spelled "Kwanyin") is the female character of Buddha, a protector for men, women, and children. She is sitting on a lotus leaf with her hands in prayer. The lotus represents harmony, prosperity, wealth and love.